One of the benefits that the Internet has brought with it is the ability to find almost anything that you’re looking for from the comfort of your computer. No longer is location a barrier to doing business. Let me give you an example. Do you remember that big purple dinosaur from the 90’s, Barney? Say you’re throwing a Barney birthday party for your soon-to-be-three year old, no longer do you have to drive to a zillion stores to see who carries supplies from that popular children show from 25 years ago. 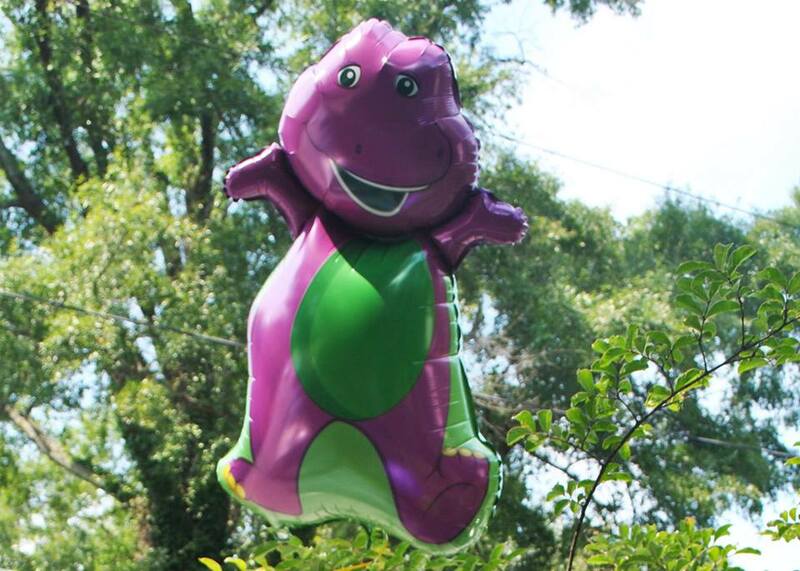 Now, you can hop on Amazon or Ebay, check out partycity.com or scoot over to Walmart’s site to order custom banners, posters, balloons and table clothes that have the big purple Dino on it. Within an hour, you can be done. Some of these products come from China (the Dinosaur is popular over there), some come from personal collections, and some are sold exclusively online for those searching for the hard-to-find supplies. Some of the sites you may choose to order from because you know of their business (everyone knows Walmart) and are familiar with them. But what if you have never heard of them or have no idea who they are? Would you still choose to do business with them? It’s hard to determine how genuine a business is when you are simply looking at their web site. 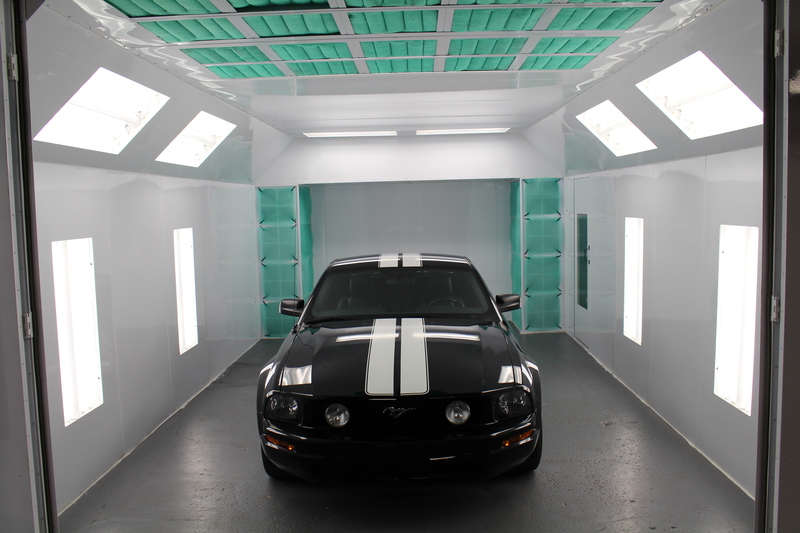 When you are looking for a paint booth, you are looking at a large investment… not just some balloons or party décor. How can you decide if the company you’re looking at online is a legitimate business that will provide you a quality booth? Here are some signs that you may want to pay attention to when shopping online. Remember that anyone can get a web site and pay to show up on Google. 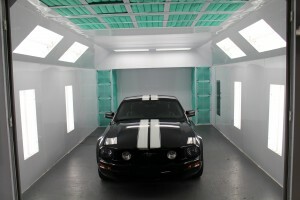 Here are some results for “Paint booth” on Google. A nice web site may be a good sign, but what is contained within that web site is even more important. Don’t be swayed with how “nice” a site is… but for the information they provide about themselves. 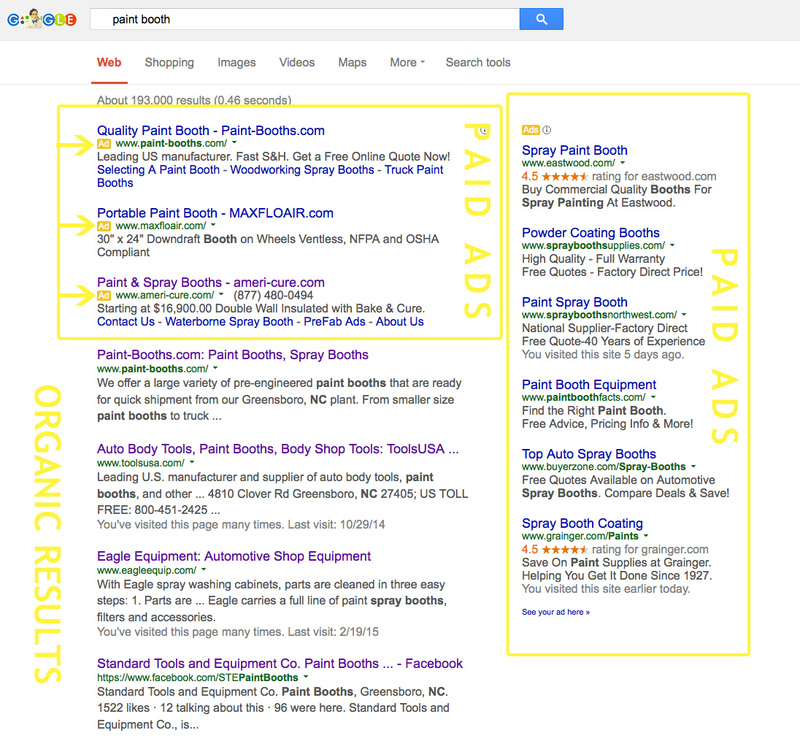 When you search for a product on Google, remember that anyone can pay to show up in the ads … the one’s who show up in the organic results are the ones that are there because of the content they provide as well as the record they have proven to Google. This is a big giveaway that it is a company you may not want to do business with. When ordering anything online, it’s important to find out that it is a legitimate business before you give them payment information. If the company does not freely provide their location (actual address), business history and how their booths are made (and where they are made)…. I would go with a more established organization. Get a physical address and Google Image the map of it. A PO Box is not a physical address. 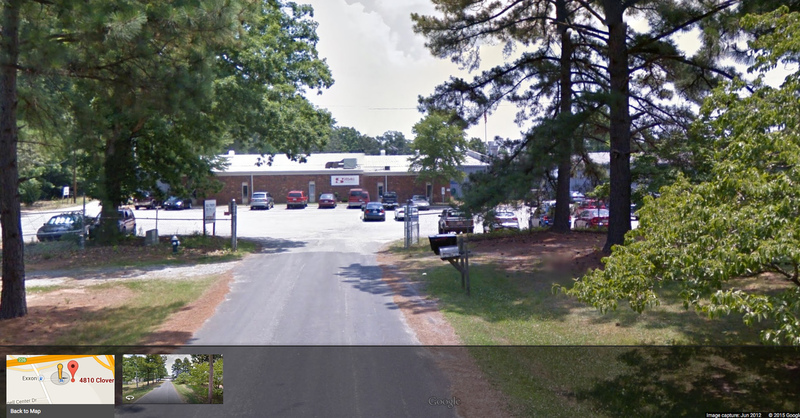 FYI- When you Google our address, this is what you see, our office and plant facilities…. with an actual brick-and-mortar location and cars in the parking lot. A companies web site should include: where their booths are manufactured, where their booths are shi pped from, who is makes the booths, how long the business has been making booths, how many employees they have, etc. Some competitors list several states that they have “locations” in… but in reality they are a distributor of a company that have storage warehouses in those locations. Some of these companies do not have any kind of brick-and-mortar location, although they present themselves to. If you are shopping on a site like eBay or Amazon, make certain you know the company you are purchasing it from. Every company has their share of upset customers, but if all you find online are customers that are complaining about their experience with a company…. It should be a red flag. You should be able to see both positive and some negative comments when you look at their reviews or scan their social pages. We all want to see what the finished product looks like. Look for customer photos on their site or on their Facebook page. Drawings are the industry norm, but their social pages and blogs should provide images of what their booths look like after installation. Are there misspelled words or errors in the formatting? For example, instead of “14’W x 10’H x 24’D” does it read “14’0?wid? x 10’0?hi?gh x 24’0?deep”? a) Copying and pasting the information from somewhere else. b) Doesn’t take the time to really proof their site for accuracy. Make sure you do business with a company that pays attention to the details. c) English isn’t their first language, so perhaps they are located elsewhere. You should know whom you’re doing business with. Can you easily find a name, or photo, of someone at the company, or the CEO? Are there photos of the employees posted on their Facebook? Are there email addresses or direct phone numbers? Is there an “About Us” portion of their site that tells you their mission and why they are passionate about what they do? All of these little details add up to give you the information you need to make an informed decision on whom you are doing business with. 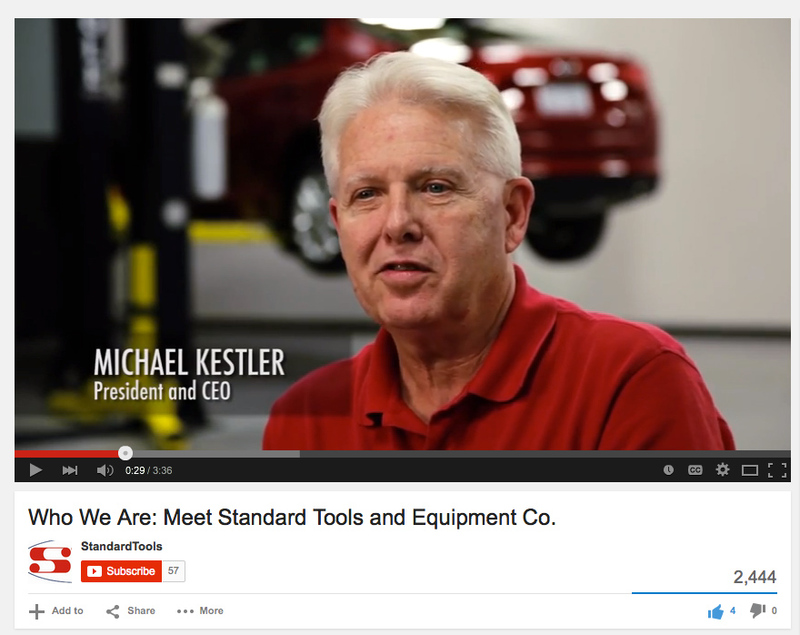 We thank you for your trust and your business!